This year's Christmas Tree Elegance will be held at the Davenport Hotel and River Park Square from Tuesday, November 27 to Sunday, December 9. Christmas Tree Elegance is a raffle of 18 custom-decorated trees with prizes which include gift certificates, items and cash and a Father Christmas sculpture. The chance to win one of the decorated trees and all its themed gifts has been a Spokane holiday tradition for 36 years. Thousands from across the Inland Northwest come to view trees and purchase $1 raffle tickets for a chance to win. This event is produced by Spokane Symphony Associates, a 300-member organization of volunteers who raise funds to support the Spokane Symphony. 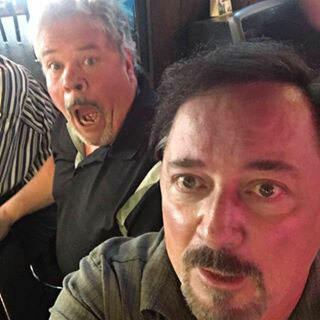 After several years off the air pursuing other opportunities, popular DJs Rob Harder and Mark Holman are back at 98.1 KISS FM starting this Friday, November 23 at 5am. They bring their entertaining creativity and humor to the morning show Monday through Friday 5 to 9am. Tune in and welcome them back! The Trans-Siberian Orchestra's Winter Tour, 'The Ghosts of Christmas Eve' will have one performance only at the Spokane Arena, this Friday, November 23 at 7:30pm. 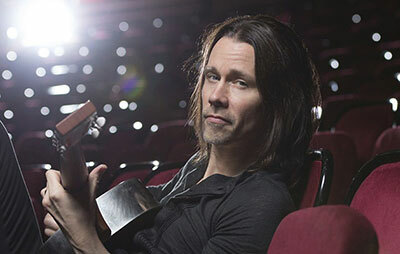 A little over 100 tickets are left to see Spokane native, Myles Kennedy & Co., The Year of the Tiger Tour, for a one performance only at the Fox on Friday, December 14 at 8pm. Special guest is Walking Papers. So...get your tickets before they're gone! Tickets available at the Box Office, by calling 509-624-1200 and at all ticketswest outlets, www.ticketswest.com or 800-325-SEAT. The Spokane Art School's Annual Ornament and Small Work Show opens this Friday & Saturday, November 23 & 24 at 811 W. Garland. The show features the work of 31 artists and is open until Saturday, December 22. Go to spokaneartschool.net for all the details. 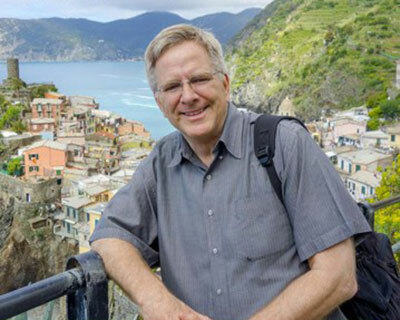 Travel author and TV personality Rick Steves comes to the Bing Crosby Theater Thursday, November 29, at 7pm. Sponsored by the Northwest Passages Book Club and KSPS Public Television. Get your tickets at spokane7tickets.com. This Friday, November 23, Daniel Mills (rock band frontman and 'Son of Brad') returns to the Tasting room with his one-man-band set as part of Arbor Crest's Fireside Music series. Music runs from 5:30-7:30, no cover charge. For more information and upcoming events, visit arborcrest.com. Come on down to Northern Quest for the Price is Right Live...two shows, Tuesday, November 27 and Wednesday, November 28 at 7:30pm. Go to northernquest.com for your seats. Join Santa and Mrs. Claus for breakfast and photos at the Southside Community Center on Saturday, December 1, 8 & 15 from 9am-noon. The elves will serve pancakes, eggs, sausage, juice, hot chocolate, coffee, tea and more and there will be activities and gifts for children. A photographer will be on hand to take photos for a small fee. 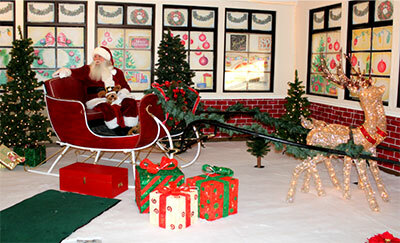 There will also be an opportunity to have your pets take photos with Santa in his sleigh from 12:30-1pm. For more information call 509-535-0803 or visit www.southsidescc.org. 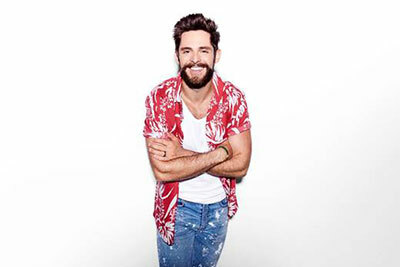 The 2018 CMA Music Video of the Year winner, Thomas Rhett, will bring his 'Very Hot Summer' Tour to the Spokane Arena on Friday, May 17. Special guest is Dustin Lynch and Russell Dickerson. Rhett scored his first No. one hit in 2013 with 'It Goes Like This,' introducing his unique sound mixing country music with pop, R&B, soul and rock. Tickets will go on sale Friday, November 30, 10am at the Spokane Arena Box Office, all TicketsWest outlets, and www.ticketswest.com or 800-325-SEAT.